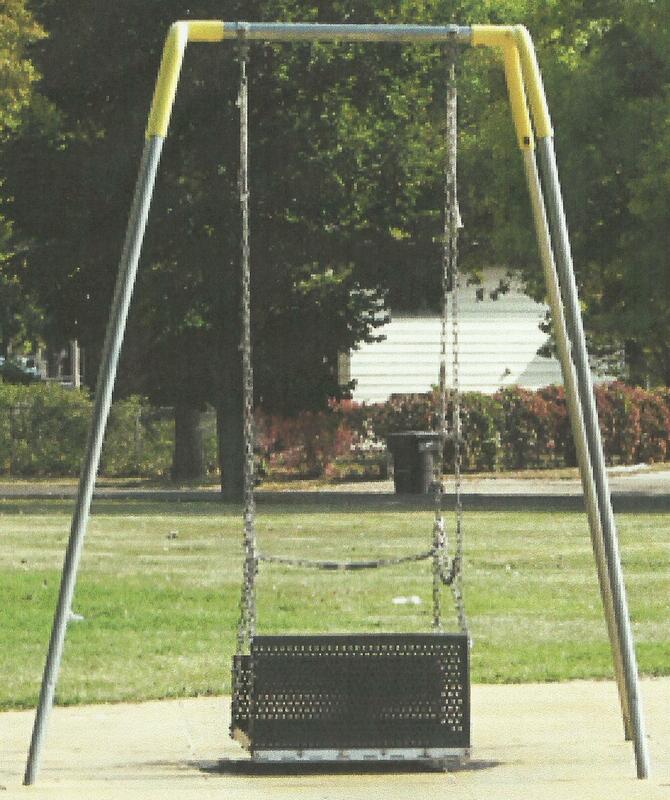 The City of Wildomar currently has a Public Works Advertised Project (Request for Proposal or RFP) to re-install the ADA swing at Marna O’Brien Park. 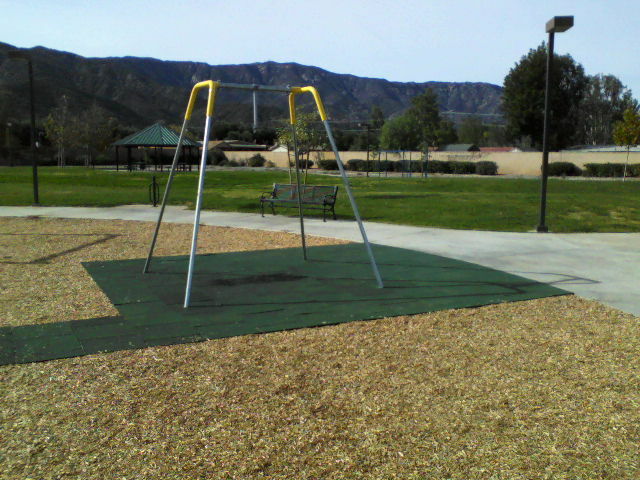 The last time this swing was installed in Marna O’Brien Park it was referred to as the “Freedom Swing”. Its last appearance was for 22 days. 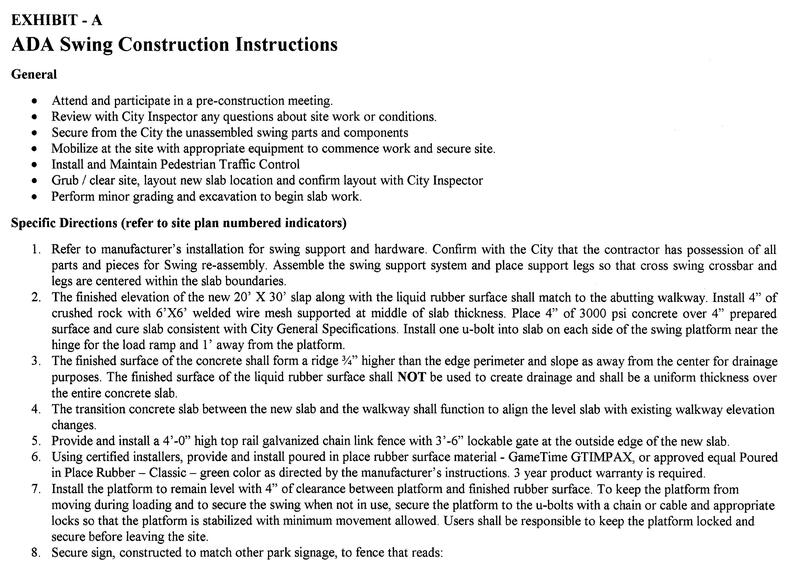 Interesting to note is unlike other RFP’s this one has no engineers “Estimated Cost”. 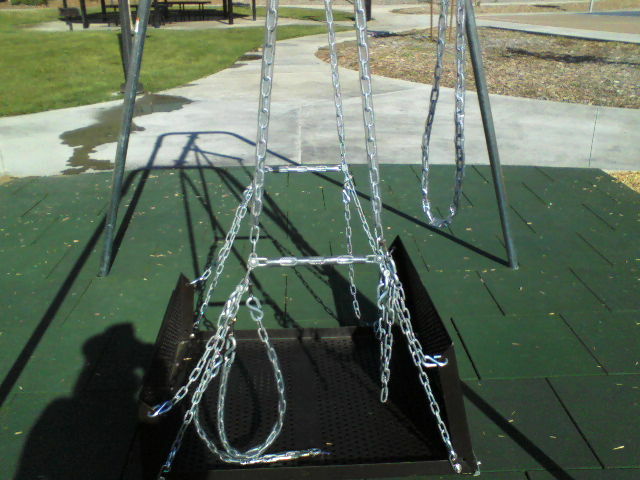 The first installation of this swing was removed after a Certified Playground Safety Inspection performed on October 19, 2014 (a Sunday morning) determined the swing DID NOT meet playground safety standards as called out in the Public Playground Safety Handbook Publication #325 issued by the U.S. Consumer Product Safety Commission. This publication has been made law in California with the codification in the Health and Safety Code section 115725-115735. One such direction is to refer to manufacturer’s installation for swing support and hardware. Without re-engineering this apparatus it will never meet this requirement. Exhibit – A makes mention of a new 20 foot by 30 foot slap, which according to the manufacturer is too small. Only by 2 feet but the rules are not written in a foreign language. 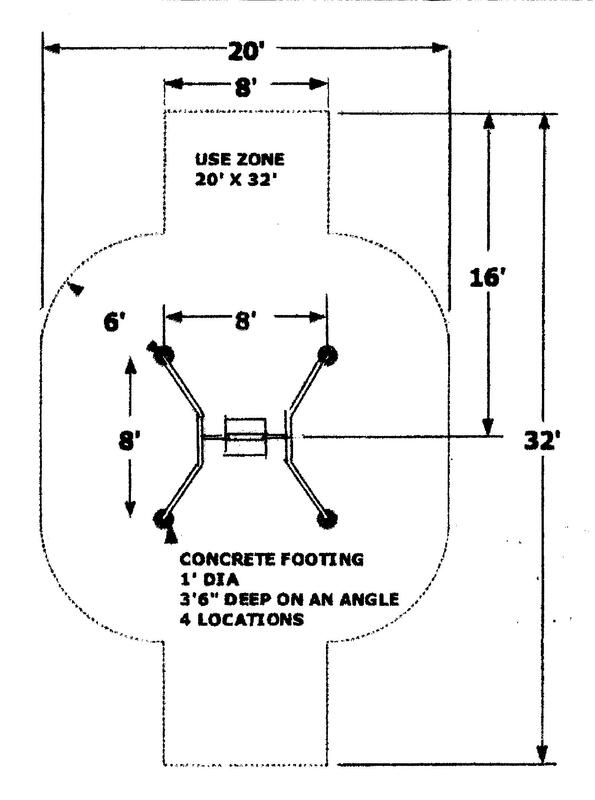 Installing this apparatus in a public park without constant supervision by park personnel, with its many deficiencies, is a choke away from a lawsuit. This device is more suited to someones backyard and not a public park. 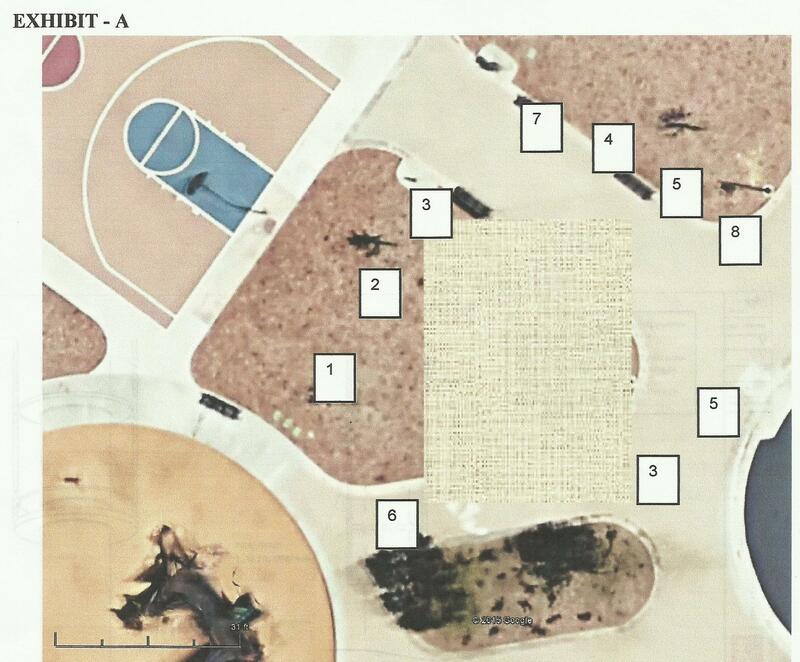 This entry was posted in Daily Ruminations, Future City of Wildomar, Parks, Shenaigans and tagged Marna O'Brien Park, Wildomar City Council, Wildomar City Staff, Wildomar Standing Committee on Parks on August 8, 2015 by Kenny.